For the first time this season the Dallas Cowboys have won back to back games moving to 5-5 on the year with a 22-19 win over the Atlanta Falcons in a game that they had to win to keep their playoff hopes alive. The defense was the story for most of the game, forcing the Atlanta Falcons to kick four field goals before allowing the game-tying touchdown with less than two minutes to play. 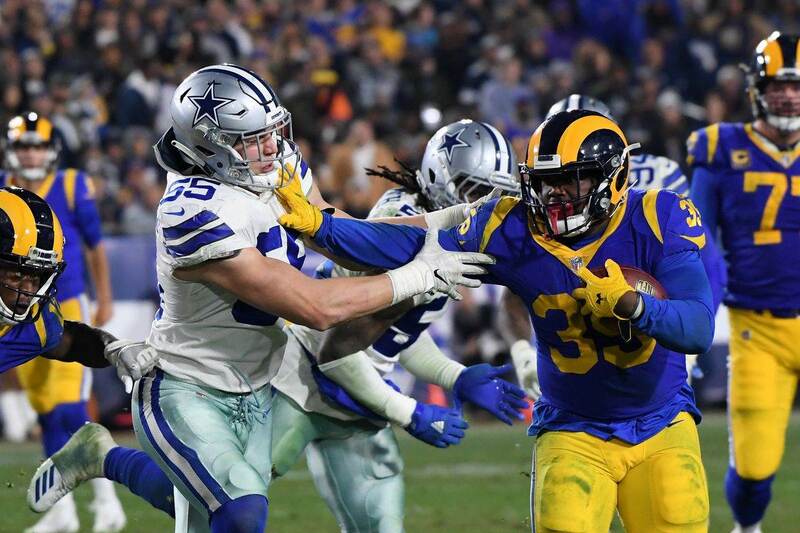 The offense had trouble getting going until they leaned heavily on their star running back, Ezekiel Elliott. 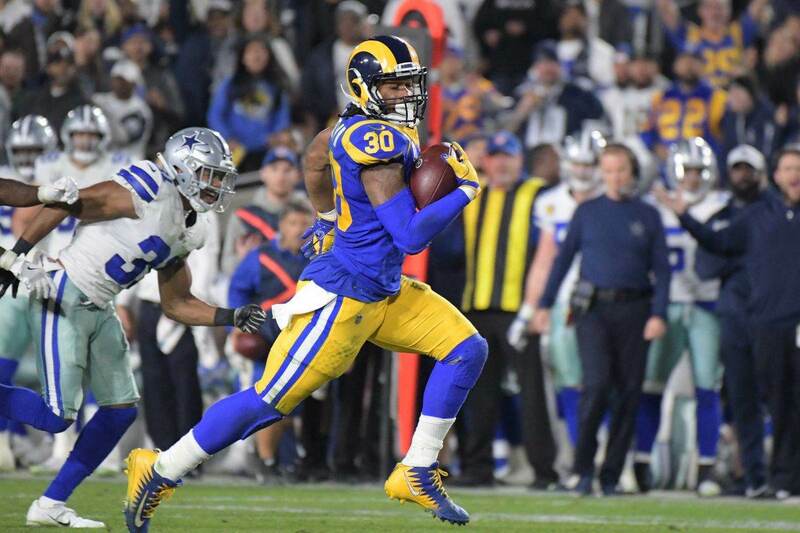 Elliott, who went over the 200 total yard mark for the second time this season and the fourth time in his career was dominant in the second half, getting hard-fought yards en route to his fifth 100 yard game of the season. Elliott averaged 5.3 yards per carry, on 23 carries, but was also the leading receiver for the Dallas Cowboys. Ezekiel Elliott on the day caught seven passes on eight targets for 79 yards as well. The Cowboys first touchdown drive was reminiscent of who the Dallas Cowboys were in 2016. That season, and seemingly rarely since, the Cowboys would go on these long 10-15 play drives in the second half of games and take control of the game. On Sunday in Atlanta, they did it again. 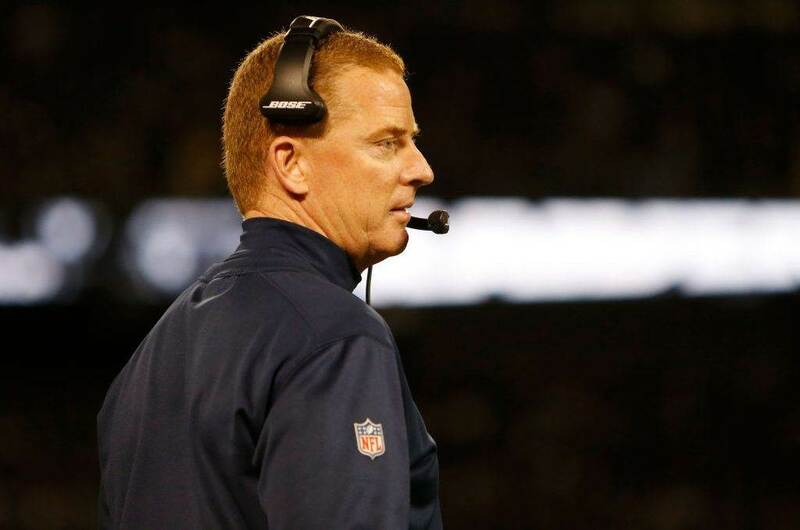 Trailing 6-3 in the second half with the defense playing an excellent game, the Cowboys went on a 14 play drive for 75 yards that took nearly eight minutes off the clock. It was a huge drive to give the Cowboys a lead and to give their defense a much deserved rest. On that drive, Ezekiel Elliott saw the ball seven times and set the tone picking up several first downs that helped set up Dak Prescott's four yard touchdown run that took the lead. After Leighton Vander Esch's interception on the ensuing drive, Elliott once again made a huge impact taking the ball twice for 31 yards including the 28 yard touchdown run that put the Cowboys up 19-9 with a little more than 12 minutes to play in the game. And on the final drive of the game, Ezekiel Elliott caught a pass and picked up a first down just inside Falcons territory. Over the last two weeks, you can see a big difference in the effectiveness of the run game. Elliott spoke about Amari Cooper being one reason they've had more success in the run game. Ezekiel Elliott on Amari Cooper: "It's just one more guy they have to worry about. It seems like he kind of was the missing piece, just because when he got here this offense started rolling. It's great having him. He's a phenomenal player. He's going to have a great future here. Amari Cooper's presence is a big reason for the offense and you can tell they've been a more complete offense the last two weeks. The addition of Cooper puts more stress on a defense in the passing game. Like Elliott said, he's a player that has to be accounted for, making his and the offensive line's jobs easier. The play of the offensive line has also been really good the last two weeks since Marc Colombo took over as offensive line coach and coincidentally Xavier Su'a-Filo was inserted into the starting lineup for an injured Connor Williams. Whatever the reason, Ezekiel Elliott seems to be on an upward trajectory. Ezekiel Elliott is now averaging 129.4 total yards per game, which sits right at his career average heading into the 2018 season. He's on pace for 1,524 rushing yards, eight rushing touchdowns, 545 receiving yards, and 3 receiving touchdowns. The touchdown totals are down from his career pace, but he's still on pace for 2,000 total yards this season. If the last two weeks are any indications, that pace could see a huge bump in the second half of the season. If you needed a singular note to tell you how great Elliott's been for the Dallas Cowboys, that's the one. It's amazing that Elliott leads the league in all of those categories including rushing yards considering he sat out six games last season and had a game where he rushed for only eight yards against the Denver Broncos in week two of 2017. @dallascowboys RB Ezekiel Elliott had 201 scrimmage yards and a TD in the team's Week 11 victory. Elliott (4,540 scrimmage yards & 32 TDs) became the third player in @NFL history with 4,500+ scrimmage yards & 30+ TDs in their first 35 career games. The two other players to accomplish that feat were Eric Dickerson and Edgerin James. That’s some legendary company. Ezekiel Elliott is a big-time player for the Dallas Cowboys and someone who they can lean on the rest of the season. If the Cowboys are going to make the playoffs it will be because the run game continued to play at a high level, which opened everything else up for the offense. 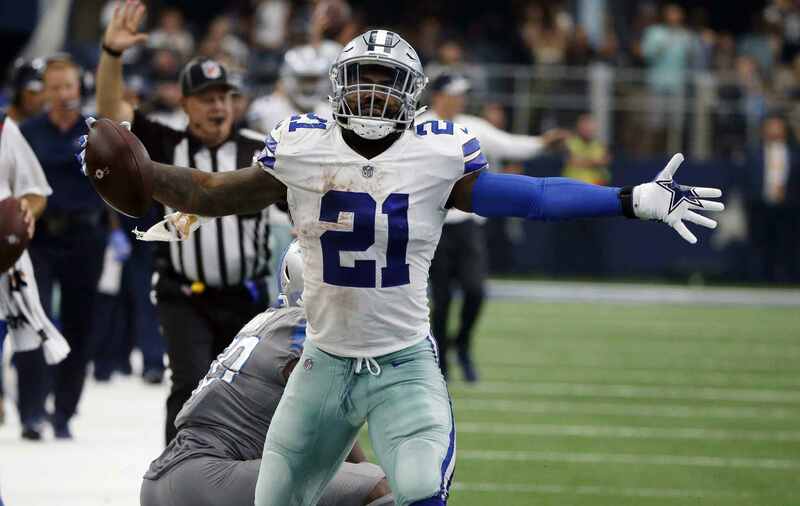 While many people will tell you that running backs don't matter, Ezekiel Elliott certainly proved on Sunday that he matters. And if you watch opposing defenses on Sunday's, they act like Elliott matters. Like Sunday, Ezekiel Elliott will continue to be a threat each week and big things are coming for him and the Dallas Cowboys.